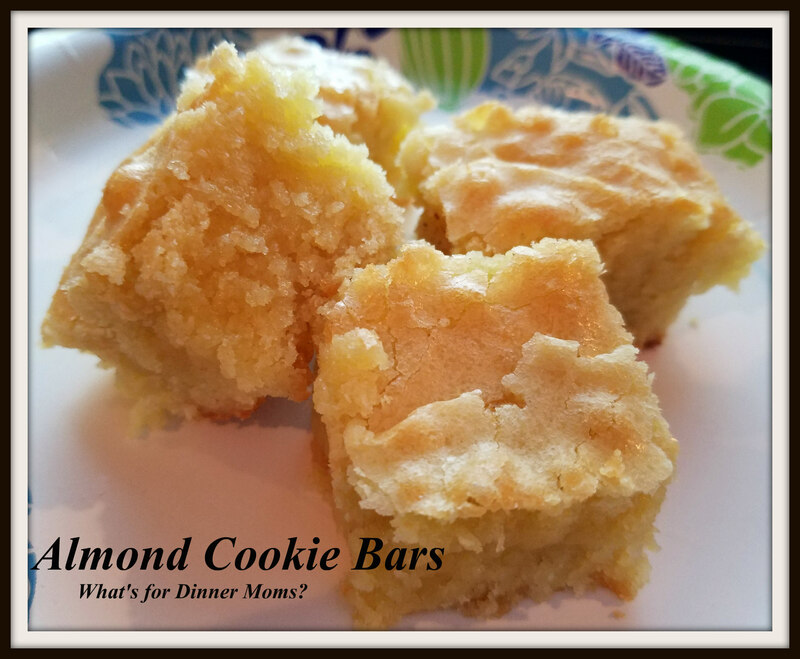 Almond Cookie Bars – What's for Dinner Moms? I love almond cookies. All kinds. I discovered these lovely melt in your mouth cookie bars a while back and I have to make them every once in a while. Sometimes I add a whole or half almond to the top. Other days like this I just make the cookies (which are super simple!!) and let the kids have a treat at night. These are my favorite cookies. My daughter was amazed at how simple they were to make when I was showing her today. This is definitely one recipe that is going into her box for the future. The whole pan was gone by lunch the next day. I kept going into the kitchen to see little pieces of the cookies gone. All of them loved them. Preheat oven to 325 degrees. Spray an 8″ x 8″ pan with non-stick spray. Beat eggs and sugar in a bowl until light and fluffy. Pour slightly cooled butter into eggs and sugar mixture and beat. Add flour, almond extract and beat until smooth. Pour into prepared pan and bake for 20-30 minutes until the center is done. Remove pan from oven and allow to cool before cutting. Dust with powdered sugar and almonds if desired. 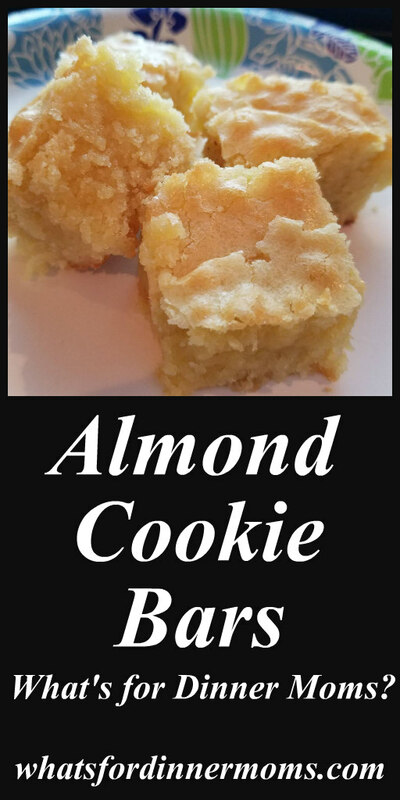 I love almond… great cookie idea! I love almond everything, a great recipes.